Working within the Oil & Gas industry provides a complex project environment that throws up its own particular project management challenges. 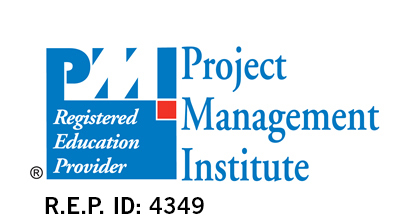 This detailed and integrated training course will assist anyone in the industry to make better decisions on projects, whether they are involved in project selection, management, or leading aspects of projects. The Project Management for the Oil & Gas Industry course provides the opportunity for hands-on experience using industry project case studies – and follows one current offshore project example from the cradle to the grave. This interactive training course provides participants with the skills required to deliver projects effectively, from decision-making concepts used by business development and commercial departments, through to FEED and into planning & delivery. This PetroKnowledge course focuses on industry best practice Project Management examples merged into practical instruction. Digging deep into tried and tested processes and tools, in order to best support the likelihood of future projects achieving their desired results and benefits delivered by the project. This 10-day course has been designed as a roadmap to ensure that the reasoning behind project selection is understood. When we combine that with the development of skills in detailed planning, organising and execution delivery, and closing out the project successfully, we really are looking to progress our project management career with confidence. This training intends to guide successful project selection and delivery. The training course assumes prior knowledge of the fundamentals of the topics covered in the course, but they will be covered briefly to ascertain general understanding. New concepts and tools are introduced throughout the course to enable delegates to progress from the fundamental to the more advanced concepts and tools used within project management. The audience should be positioned to pursue and maintain competitive operational and business efficiency, revenue maximisation and profitability for the organisation. Participants to this training course will receive a thorough training on the subjects covered by the course outline with the Tutor utilising a variety of proven adult learning teaching and facilitation techniques. Training methodology includes an insight into organisational decision methods and short and long-term strategy considerations. In addition, industry best practice project management performance and delivery tools and processes will be introduced and used as practice examples. This PetroKnowledge course includes teamwork around an applicable case study, group discussion and critical analysis of actual projects. Competency Description: The need has never been greater for projects to be approved that will deliver the greatest return on our investment; further, we need to ensure that we are appropriately prepared for the risks that come with those decisions. We will begin by recognising where to focus our time, our resources and commitment in order to sanction and deliver our projects successfully. Competency Description: Understanding the environment that the project sits within is crucial to relevant decision-making. We use various tools to assist us in this strategic process. Competency Description: Project Financing is crucial, so an understanding of how financial decisions are made will be analysed. The Project Manager and other key decisions makers are vital and we will consider the role of the project leaders and development of leadership skills where appropriate. Competency Description: The risk of project failure is huge - one failed project may be enough to wipe out a full year’s profit, so we need to ensure we commence our project aiming for success throughout the project. Competency Description: Project Stakeholders are crucial - the likelihood of their requesting project changes are extremely high and good decision- makers need to understand the best tools to use to aim to satisfy the needs of stakeholders, or ultimately, maintaining a good relationship. Competency Description: In order to deliver projects, we need to ensure that we are appropriately prepared for the all aspects that come as part and parcel of the project. We will begin by recognising where to focus our time, our resources and commitment to delivering our projects successfully. Competency Description: Developing project plans are at the forefront of delivering projects successfully. We use various tools to assist us in this crucial process. Competency Description: The risk of project failure is huge one failed project may be enough to wipe out a full year’s profit, so we need to ensure we manage our project aiming for success throughout the project. We need to manage the project teams and develop them to provide them the skills to deliver. Competency Description: Project changes are expected and management of change is crucial. The Project quality parameters must be set and adhered to satisfy client requirements. Competency Description: Projects need to be maintained throughout the project life cycle all the way to the final stages and ultimately handover. Occasionally there is a need for project recovery and we will identify when and how this should be decided upon.